23.08.2018: KRAUCK-SYSTEMS is breaking new ground in construction site communication. A mobile online construction site communication system helps to save time and money in project control. The SENATE OF ECONOMY congratulates KRAUCK-SYSTEMS on the „Born Global Champion“-award of the Austrian Federal Economic Chamber. 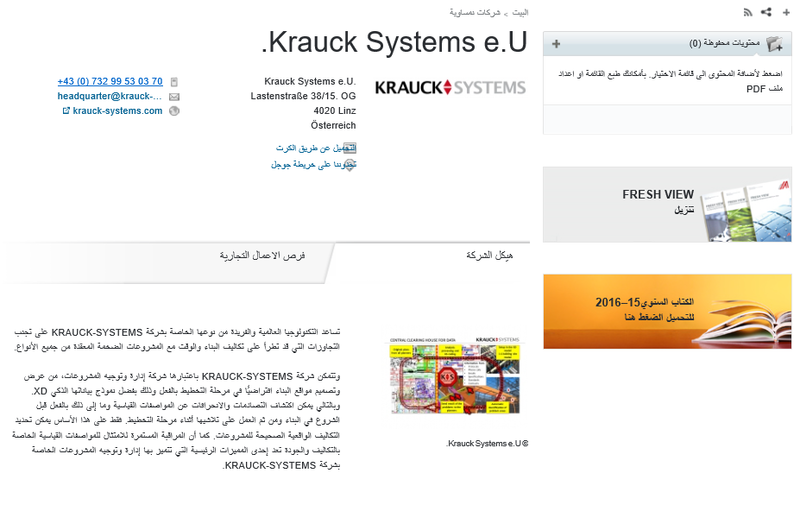 Since the end of July 2017, KRAUCK-SYSTEMS is presented by the Austrian Federal Economic Chamber on the country site of Qatar. On the 26th June 2017, 44 companies were honored as "Born Global Champions" in the “Haus der Wirtschaft” in Vienna within the framework of the 15th day of export organized by the AUSSENWIRTSCHAFT AUSTRIA. www.advantageaustria.org is the official web portal of Austrian business abroad.